We have quite a few lovely Irish skin and body care brands but for me, Voya is definitely one of the more higher end. The products feel decidedly luxe and it makes complete sense to me that you would find them used in some of the finer spas in Ireland and the UK. Certified organic, this family owned brand dates back to 1912 when the first seaweed baths opened in Strandhill in Co. Sligo. I can’t wait to make like Jedward and pay a visit there one day. In the meantime, I’ve been getting my Voya fix courtesy of the Therese R spa at Rochestown Lodge Hotel. 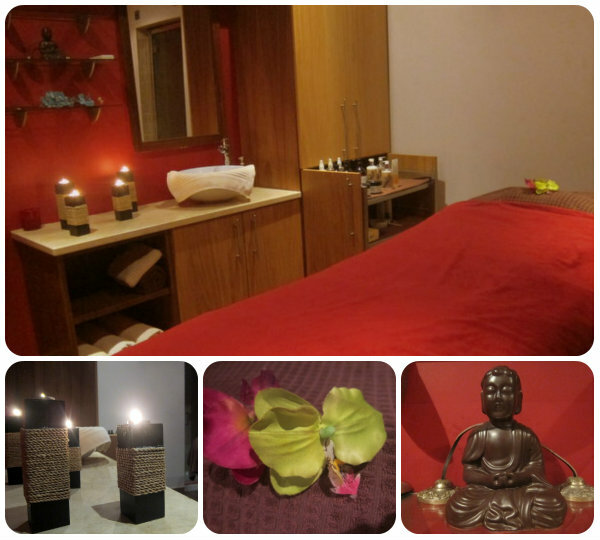 It offers a peaceful spa environment with soothing treatment rooms, a dedicated relaxation room and friendly, professional staff who put you instantly at ease. I prescribe to the theory of getting a facial when the seasons turn, and this one is specially designed to prep your skin for summer. Intended to eliminate toxins and rebalance the skin, the treatment is especially recommended for oily, congested, or city skin. Priced at €85, the Voya Organic Purifying Defence Facial Treatment offers 75 minutes of blissed out relaxation and pampering, cocooned in a blanket and stretched out on a heated water pad. A back scrub and application of Voya’s Softly Does It body moisturiser kick off the proceedings before the facial begins, using a selection of fragrant Voya goodies made with natural ingredients, essential oils and Irish seaweed (which is incredibly good for the body, skin and hair). Facial massage, lymphatic drainage and a neck, shoulder and scalp massage are all part of the treatment, which left me chilled out, smiling from ear-to-ear and with a softer, brighter, and yes, more glowing complexion. You'll find Voya in more than 20 locations nationwide but if you're outside Ireland, worry not - you can also buy online from www.voya.ie. This treatment looks right up my street, facials are my fav spa treatment! This spa looks really nice and I'd definitely try the Voya products. I'm always on the outlook for new beauty products that are organic. I've always wanted a spa day! I'm actually on a search for few Voya products, any recommendations if they're available at a better price somewhere? Haven't tried their face products yet, a Voya facial sounds gooooood though... a nice way to try them out for the first time! I think I told you before, but I'm obsessed with their haircare products! Want to have time for a spa day..
Hi sweety, I appreciated hearing your feedback on my last post :) This spa looks heavenly, haven't heard of the product range before. I love natural products like that!! I am also featuring a US based brand today on my blog! Hope you are having a wonderful day! Oh really interesting products ! Their products do look good! I like how they have everything set up. So tranquil and peaceful. Thanks for the introduction Emma. Sounds like heaven, I am definitely booking myself in to a spa for a treatment soon.